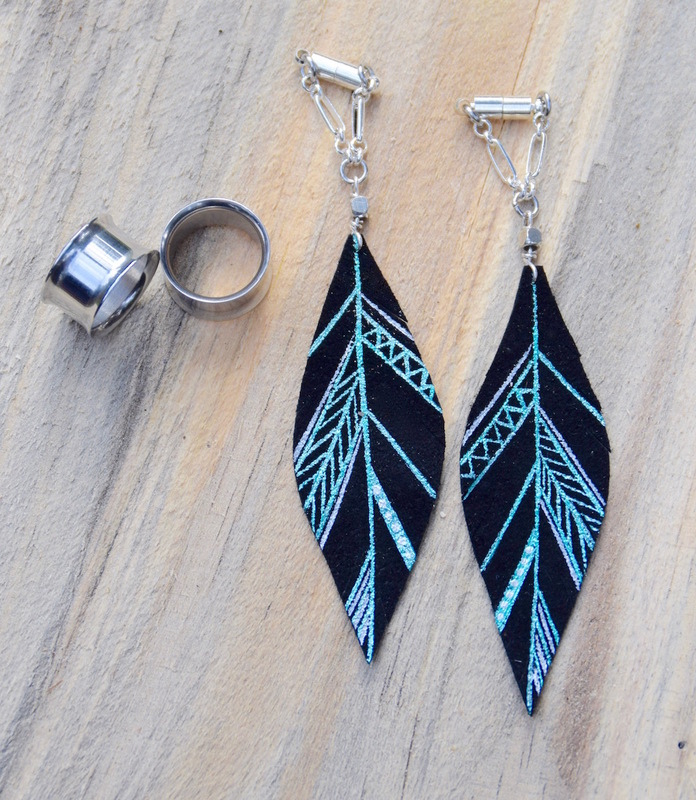 These light, black suede and gold, aztec feather earrings are hand painted on both sides. Leather feathers measure 2 3/4"L X 7/8"W.
Every pair comes with a set of Gold Plated Tunnels sizes available from 0g-1". Click here for our full list of BellaDrop designs offered by INTREPID.